I'm Marie from Underground Crafter and I'm back to share a roundup of crochet patterns designed by Crochet Guild of America members. (If you're not a member yet, you can join here.) This month's roundup features 16 (mostly free) patterns in pretty pastels. 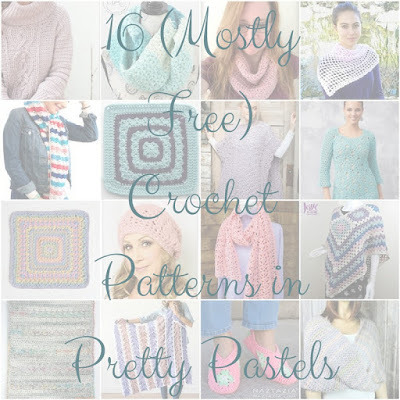 Of course, you can make any of these patterns in neutrals, jewel tones, or any other color combination you choose. All photos are copyright the respective designer or publisher and are used with permission. If you are a CGOA member designer and would like to be included in these roundups, please contact me via my blog (linked above). This roundup features so many different types of projects that you're sure to be inspired! Find motifs and blankets, scarves, shawls and wraps, ponchos, women's tops, and other women's accessories. 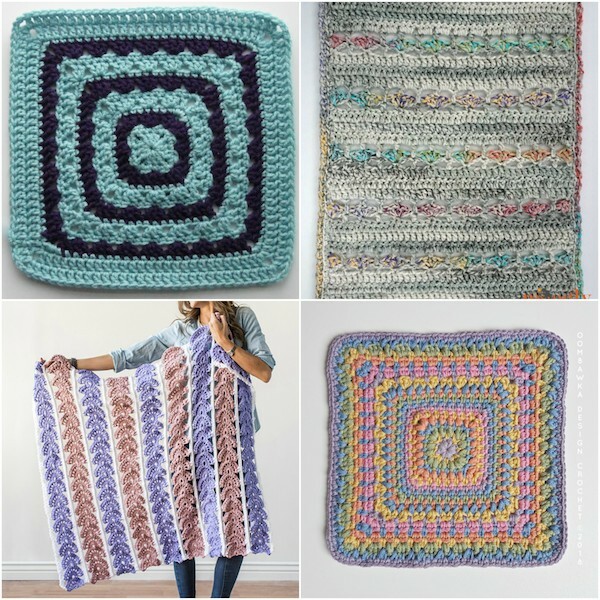 Doubles and Stripes Afghan Square, free crochet pattern by The Lindsey Life: This square is part of the MooglyCAL2018, which features 24 free crochet patterns for 12” squares. Spring Rain Lapghan, free crochet pattern by Moogly: This pattern works up really fast in a jumbo weight yarn. Reverie Afghan Square, free crochet pattern by Oombawka Design Crochet: This pattern includes instructions for making a 9” version in light (#3) weight yarn and a 12” version in medium (#4) yarn. 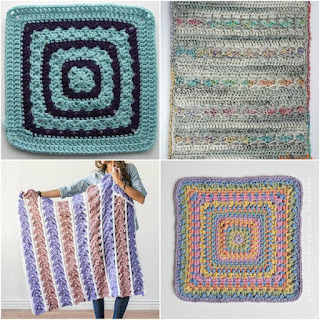 Modern Heirloom Blanket, premium crochet pattern by Underground Crafter: This strip blanket is available for sale as a pattern here on Ravelry or as a kit with pattern and yarn here on Craftsy. Blushing Petals Infinity, free crochet pattern by Ambassador Crochet: This is the medium (#4) weight version of Valentina’sLove Infinity, which is made with super bulky (#6) weight yarn. Ombre Aqua Scarf, free crochet pattern by The Stitchin’ Mommy: This chunky scarf works up quickly in a self-striping, super bulky (#6) yarn. Eternity Springs Infinity Scarf, free Tunisian crochet pattern by Kim Guzman: This wide infinity scarf can also be worn as a wrap and it includes a video tutorial. Medley Merino Chic Scarf, free crochet pattern by Marly Bird for Red Heart: This pretty striped scarf features a crab stitch border. Valerie Shawl, free crochet pattern by Pattern Paradise: This lacy, openwork shawl is perfect for warmer weather. Lacy Detail Tunic, free crochet pattern by Tammy Hildebrand for Red Heart: This lacy top is available in 6 sizes from small through 3x-large. Shining Day Wrap, premium crochet pattern by M2H Designs: This lacy wrap can also be worn as a spring scarf. Granny Border Poncho, premium crochet pattern by Jessie At Home: Join-as-you-go motifs and granny stitch combine to make a colorful poncho. Entwined Chic Cable Sweater, free crochet pattern by A Crocheted Simplicity for Red Heart: This cowl neck, cabled sweater pattern is available in 6 sizes from x-small through x-large. 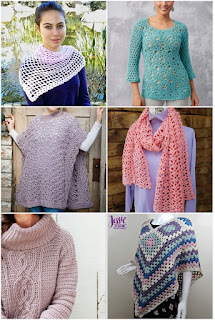 Blooming Petals Poncho, free crochet pattern by Cre8tion Crochet for Furls: This lacy poncho is available in 3 sizes: small/medium, large/1x, and 2x/3x. Granny Square Slippers, free crochet pattern by Naztazia: This pattern, available in 3 sizes, includes a video tutorial. Amazing Grace Simple Slouchy, free crochet pattern by Beatrice Ryan Designs: This slouchy hat is part of the Amazing Graces eries of patterns dedicated to breast cancer awareness. I hope you enjoyed this month's roundup. I'll be back in April with another roundup of patterns by our members. It's National Crochet Month! 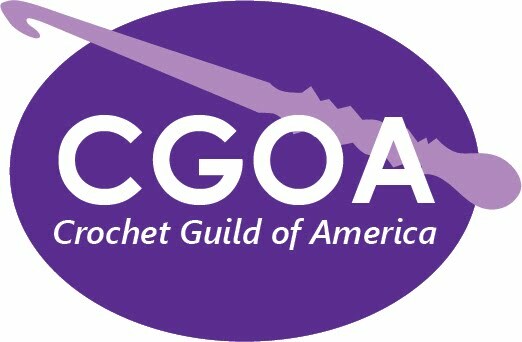 And the CGOA has a MEGA Crochet-A-Long planned for all members. 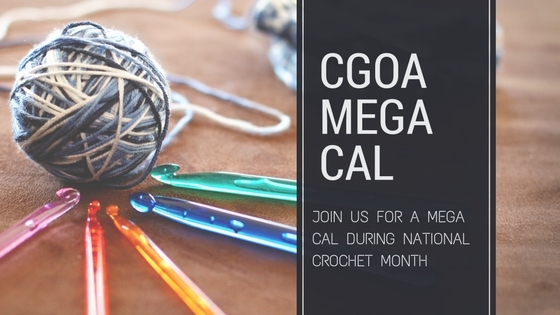 If you're are already a CGOA member, please join us for the March Mega Crochet-A-Long (CAL)! Week 1 - Introducing Shining Day Wrap by Andee Graves. This elegant lace wrap is perfect to bundle around your neck as a warm scarf on cooler days, or to dress up an outfit as a shoulder wrap when the days get warmer. Visit the CAL pattern page to download the FREE pattern and learn more about this weeks designer. This pattern, available to members and non-members, will only be available until March 7, so don’t wait too long. If you would like to receive the next THREE patterns JOIN CGOA NOW as they are available to members only. 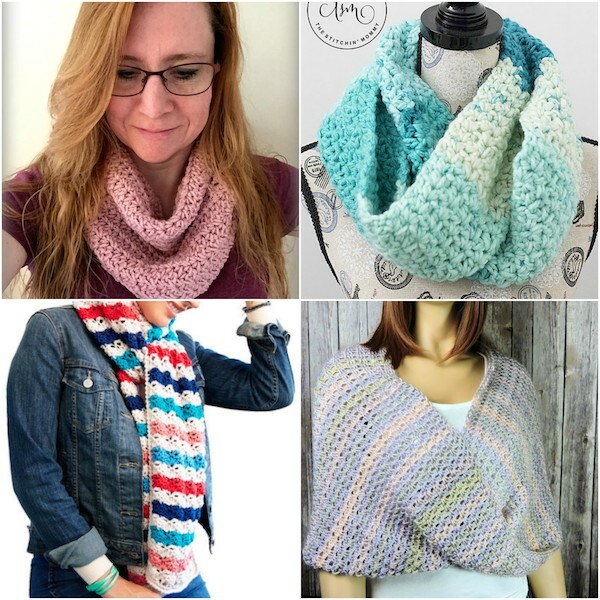 Besides these FREE patterns, there are so many benefits to being a Crochet Guild of America (CGOA) member. If you're a CGOA member, you can join our Facebook group for discussion and to post pictures.